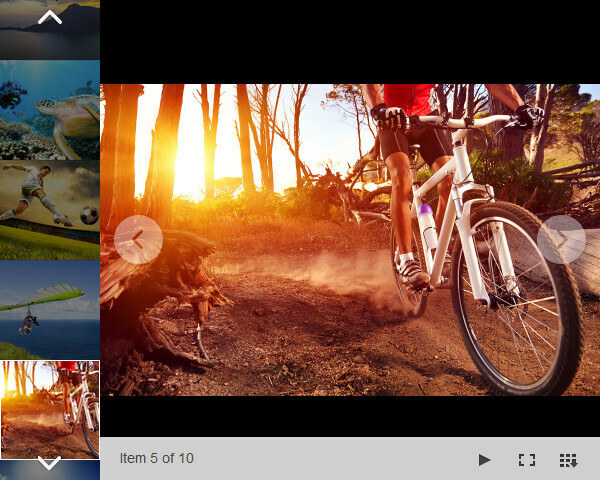 You can bind RadImageGallery to a virtual folder path and display all images contained in it. All that you need to do is set the ImagesFolderPath property as shown in the code snippet. The control will automatically generate thumbnail images. If necessary the thumbnails will be cropped to fit the defined thumbnail width and height. The images in the Image Area have relative paths and the user only needs to wait for the image to be loaded by the browser. Figure 1 shows how the rendered control will look on the web page.